Helmets have generally failed their main function, which is to protect the player’s head from brain injury. 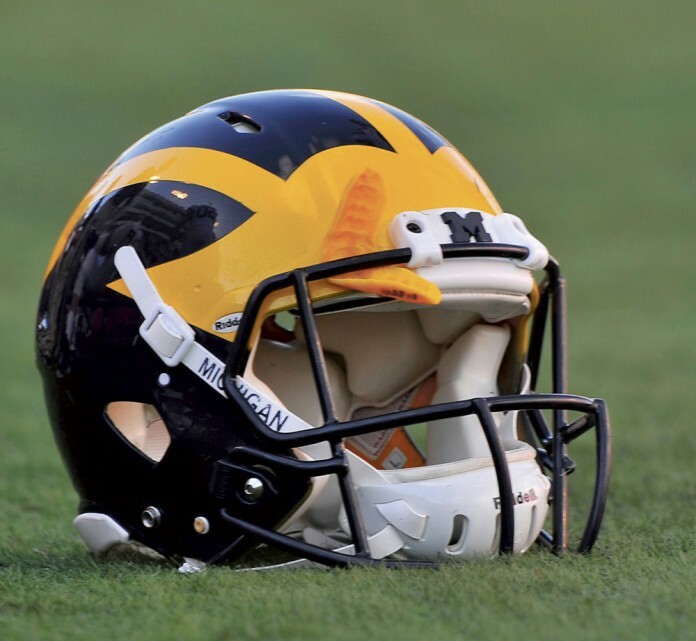 That was until University of Michigan’s professor Ellen Arruda revealed a prototype of helmet advancement that disperses the kinetic energy that moves through the head after an impact. Although football helmets are supposed to protect the players, they do not have much of an effect in preventing hits to the side of the head that can cause traumatic brain injuries. According to a new study, impacts that cause rotational force are not prevented by the sports equipment. Experts and athletes have become increasingly worried about consistent head traumas causing chronic traumatic encephalopathy (CTE), a degenerative disease with effects similar to Alzheimer’s. These symptoms include memory loss, mood swings, motor skill problems, paranoia and memory problems. Athletes in football, hockey and other contact sports are at risk of having this disease. Generally, the way to prevent this from happening is to avoid playing the sport, waiting for a while to play the sport or wearing sports equipment. Still, wearing sports equipment previously was not found to be quite effective. In a study done before these helmets were developed, researchers tested normal football helmets with a method called the the standard drop test, used in the National Operating Committee on Standards for Athletic Equipment. A crash test dummy wore the helmets and scientists put sensors on the dummy’s head so the researchers could see the rotational and linear impact. Linear impacts cause brain bruising and skull fracture, while rotational impacts cause concussions. The researchers found that the helmets reduced the risk of skull fracture by 60 to 70 percent and lowered the chance of brain tissue bruising by 70 to 80 percent. Unfortunately, the helmets only reduced the risk of traumatic brain injury by 20 percent when compared to not wearing a helmet. Therefore, collisions can be very damaging to athletes that get impacted constantly. Through close and careful examination, sports equipment can be better formed to actually protect the brain. The prototype that they have created is composed of three cheap polymers, including a viscoelastic polymer. Each of the polymers contribute together to absorb the pressure wave that moves through the head after an impact. Through the use of two-dimensional mock cross sections of materials, they enabled the football helmet to perform its true function. They experiment with a table-top collision simulator to test the present helmet model compared to the one they created. They differentiated how much energy traveled through their type and the normal helmet. Through the use of high-speed camera, they had the ability to observe how the brain model reacted to the impacts in both systems. The impulse was reduced all the way to 20 percent of what traveled to the brain model in the conventional helmet. This lowered the impulse by a huge magnitude. Since the team produced a foundation that depends on the characteristics of the first two levels to “tune” the wave, when it hits the viscoelastic layer, its frequency is within the spectrum that the material can absorb. This same idea can be applied to military helmets for soldiers.